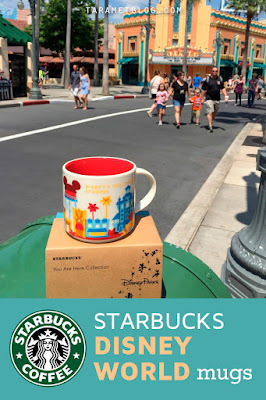 I love my colorful Starbucks "You Are Here" Florida mug for sipping my tea. 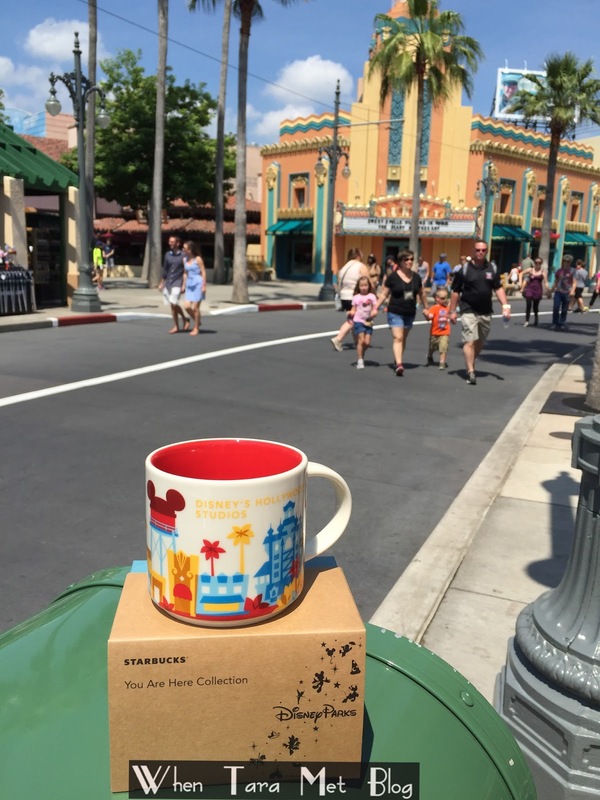 So, when I heard that Starbucks made exclusive Disney Parks souvenir 'You Are Here' mugs, I knew I had to have them. They arrived in stores January 2015 and are highly sought after and collectible. 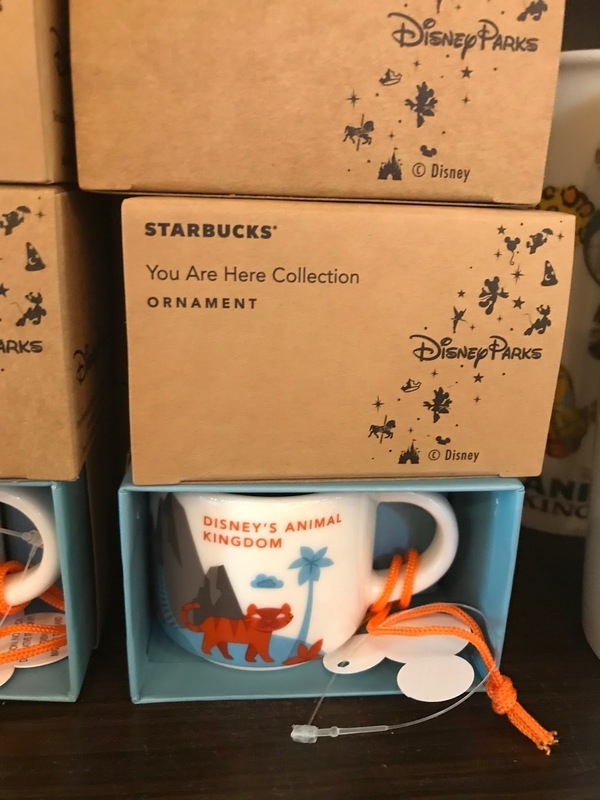 At Disney World, there is a 'You Are Here' Disney Starbucks mug for each of the four parks including Animal Kingdom, Epcot, Magic Kingdom and Hollywood Studios. Disneyland and Disney's California Adventure meanwhile have their own mugs too (view here). They sell for $16.99 each and can be purchased with a Starbucks card too. Collect all 6! 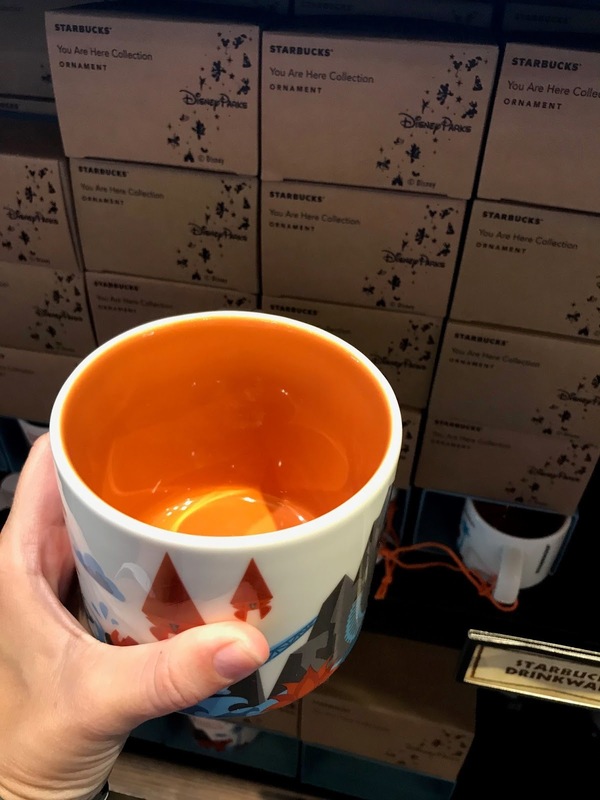 During my most recent trip to Walt Disney World we went to each Starbucks location to purchase the mugs and took some pics to share with you. I'm especially a fan of the purple inside of the Epcot mug and how the red Hollywood Studios mug matches so well with my yellow You are Here Florida mug. Fountain View at Epcot (the Starbucks signage is easy to spot here) right across from the fountains and by Club Cool. Trolley Car Cafe at Hollywood Studios. 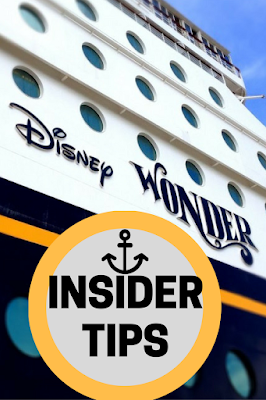 It's a red building on the main strip before you reach the iconic Chinese Theater. 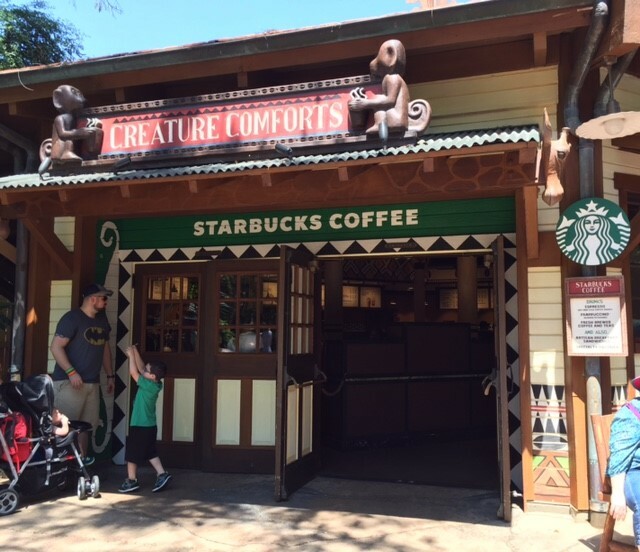 This one doesn't even look like a Starbucks. 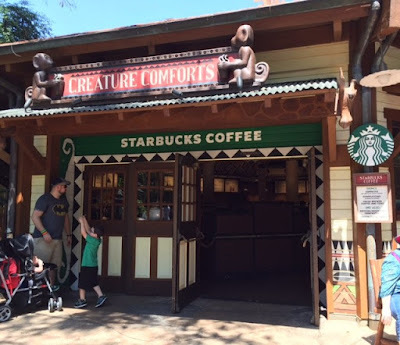 Starbucks at Disney's Animal Kingdom can be found near Africa in a large shop called "Creature Comforts." 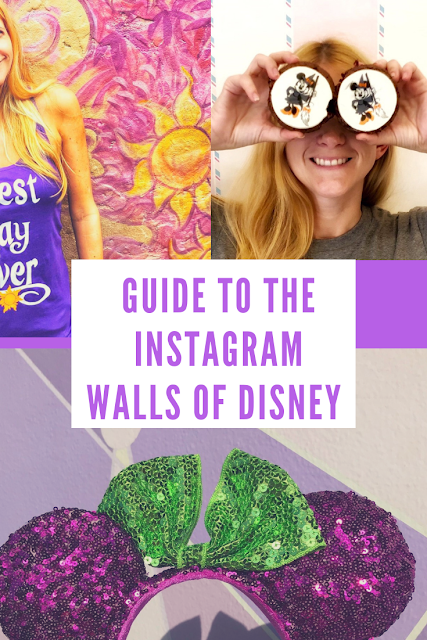 It's actually the more obvious of the four Starbucks locations at Walt Disney World. 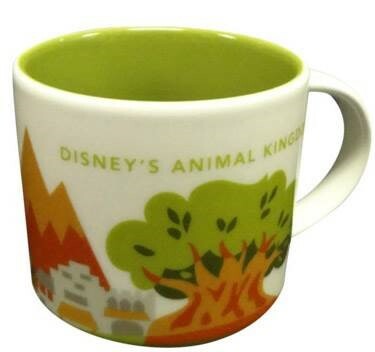 For 2018, the Animal Kingdom mug changed design and colors - going from a green to a brownish orange color inside. Ornament sized versions are available as well for $12.99. 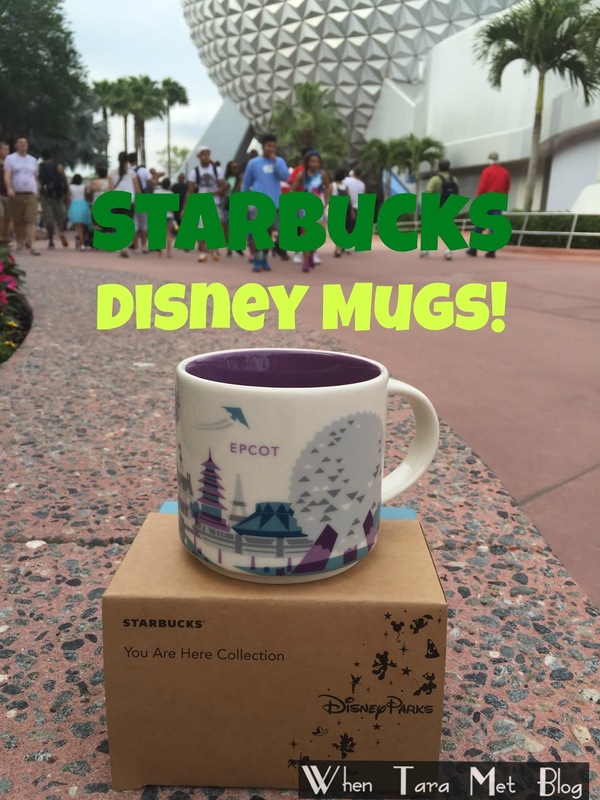 Oh, and btw the 'You are Here' Starbucks mugs are stackable, which is such a cabinet space saver! 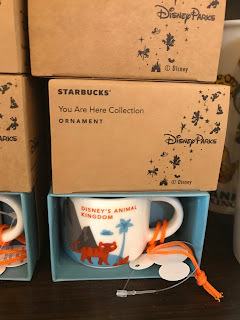 Although there is a Starbucks outside of the parks in the shopping area by the monorail, it does NOT sell Disney-themed You Are Here mugs, just general Tokyo and Japan ones. 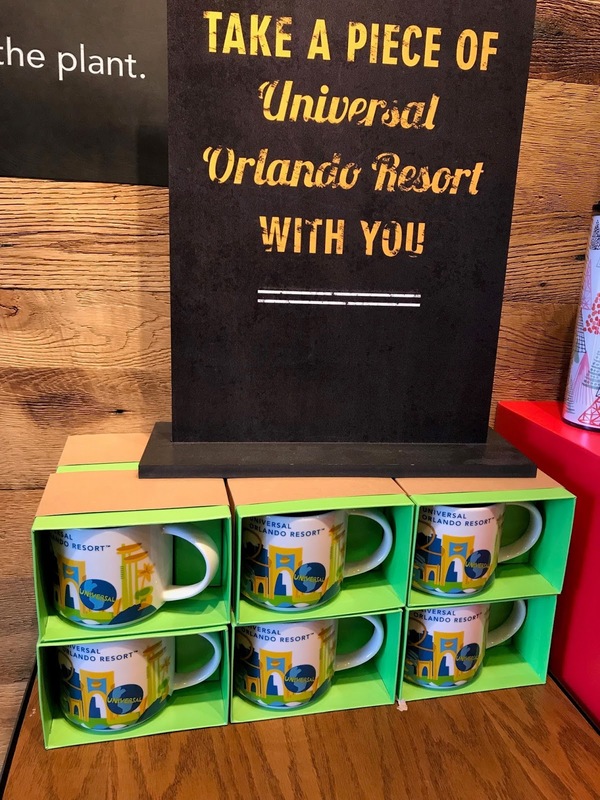 Universal Studios Resorts Florida and Islands of Adventure each have official Starbucks locations, but both parks carry the same Starbucks Universal "You Are Here" mug though. 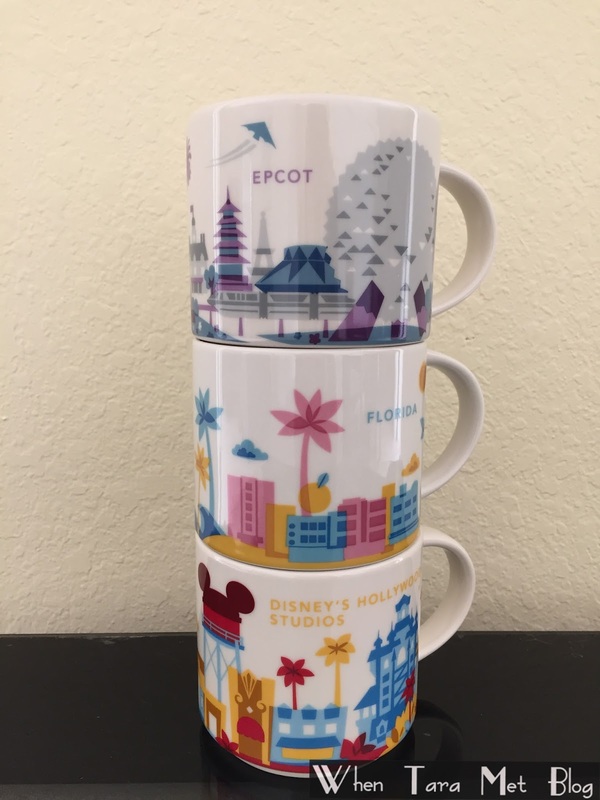 I love these special Starbucks mugs, i have a few of the state mugs, which are my personal favorite mugs to use over the others. Love that these are stackable too! 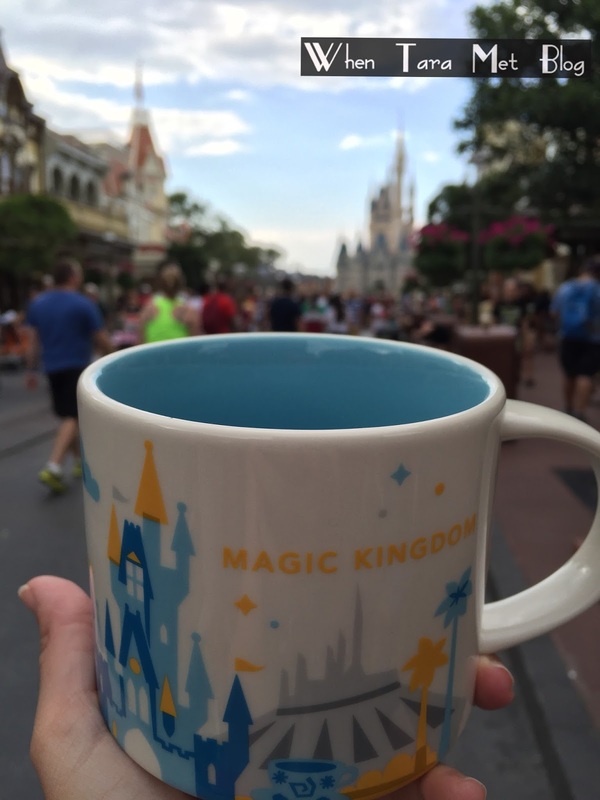 Those are beautiful mugs! I'd like to collect them all! 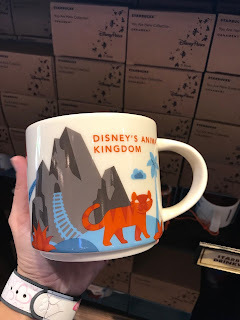 I really like these Disney World mugs and want to get one for me and my sister! They are really cool and great to drink out of! What nice collector's items. I love those mugs, too! 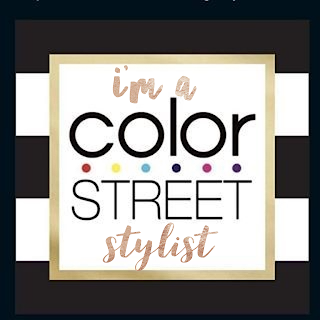 I cannot believe that I am...well, old! 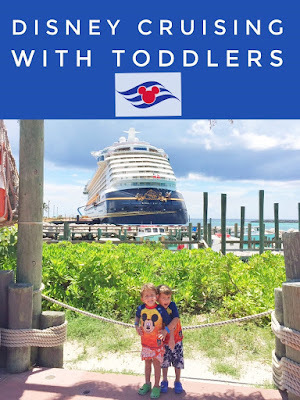 and still haven't been to Disney!! What a bummer for me. 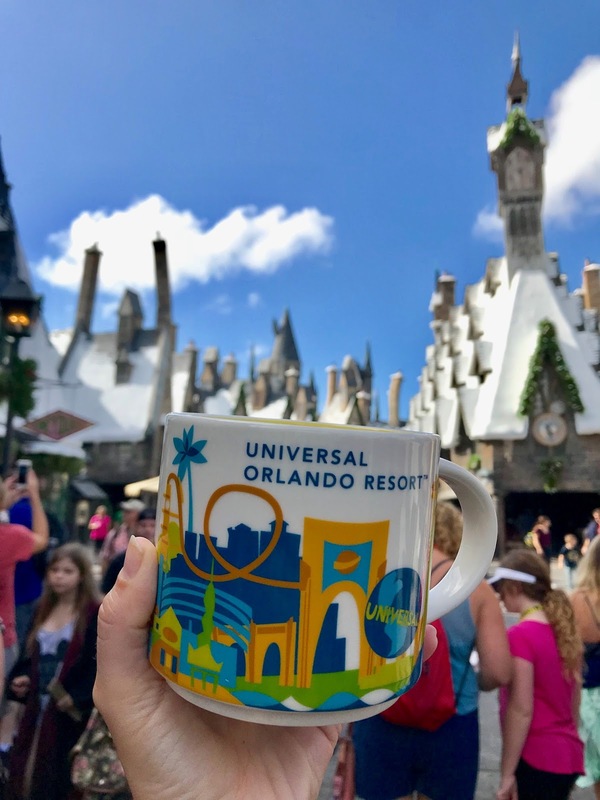 But those mugs are so bright and colorful I just love them. 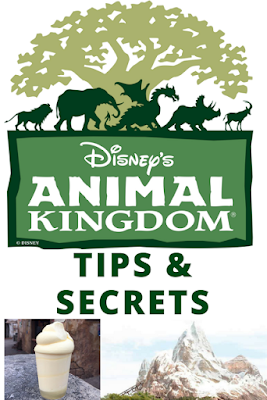 Esp the Magical Kingdom one!! These are very fun mugs. Can I use mine for tea?